Have you been putting off getting your smile straightened because you’d rather not be seen with metal brackets and wires all over your teeth? Traditional braces can take years to successfully straighten your smile – all the while you are dealing with eating restrictions, the endless struggle of brushing and flossing around all those wires, and the embarrassment of smiling with a mouth full of metal. What if you could get your teeth straightened using nearly-invisible aligners that allow you to avoid the traditional braces set-backs? Would you take the opportunity? 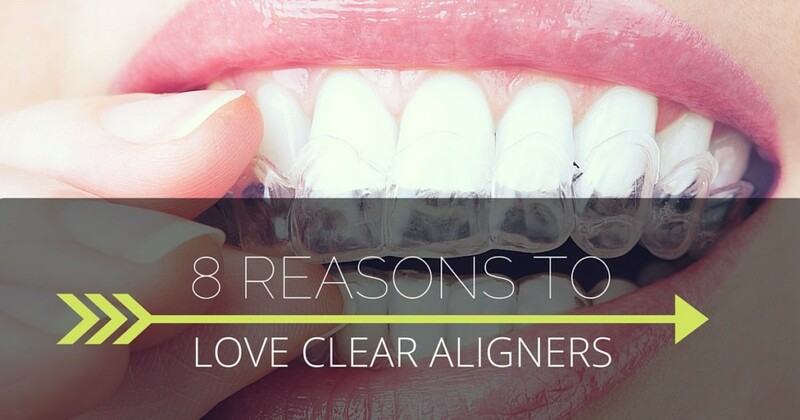 What Makes Clear Aligners a Great Choice? Read on to learn why you should take a good look at clear aligners as your teeth-straightening solution. Traditional braces are very noticeable when you smile. All those wires and metal brackets are a stark contrast from your natural teeth. 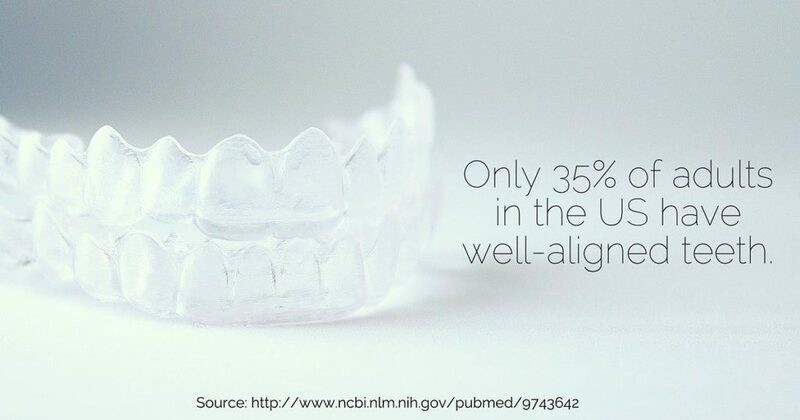 Clear aligners use see-through custom fitting dental trays that slip on over your teeth and gently realign your smile. Most people won’t even notice you have them on! Getting married? Having a photoshoot? Eating corn-on-the-cob? Clear aligners use removable trays that just pop off whenever you need them to. Get that picture perfect smile whenever a photo-op comes around and enjoy your favorite foods. The removable trays also allow you to brush and floss your teeth normally. No more getting special brushes and flosser tools to get around all those tiny brackets and wires. Saves you time and a couple headaches. Source from above. Odds are you probably need to get your teeth straightened. Love corn-on-the-cob? Enjoy eating apples? Can’t resist movie theater popcorn (who has that much will power anyways)? Don’t worry, since there are no fragile brackets, you can eat anything you want! True freedom. Not only are metal braces unattractive, there is also a small percentage of people who have metal allergies and thus can’t use traditional braces. For those who suffer from metal sensitivities, plastic clear aligners are the perfect alternative. You’re busy and your time is valuable. With clear aligners, you’ll only have to come into the office every 4-6 weeks. Plus, anyone who has had traditional braces knows their visits are often full of being poked and pricked with wires. Not a problem with clear aligners . Those who use traditional braces can end up with scars on the insides of their cheeks from sharp wires catching the soft skin. Alternatively, smooth plastic aligner trays won’t scratch up the insides of your mouth. Don’t put off straight teeth because you have a big event coming up where you want your smile to be free of any orthodontic appliances. With clear aligners, you can always remove the trays for special events. Perhaps you’re getting married this year; weddings can be stressful, and with removable clear aligners you’ll have one less thing to worry about for your big day! There are also health benefits to having straight teeth. Those with crowded or overlapping teeth have a harder time keeping the areas between their teeth clean, which can then lead to periodontal and gum disease. Periodontal disease can lead to other more serious health conditions. When you decide to straighten your teeth you aren’t only choosing to improve your smile’s appearance but also your comprehensive health. Choosing clear aligners will help you get a straight and healthy smile while keeping you happier and more comfortable throughout the process than traditional metal braces. If you’re ready to take control of your smile, call your dentist and set up a consultation to learn more about the process.